Postroom-online are Britain's leading desktop paper folding paper provider and maintenance agent having the UK's largest range of letter folders; including those from leading brands including Duplo / Ideal, Eurofold, Galaxy Print Finishing, Martin Yale, Cyklos and Superfax. With free, UK next-working-day delivery we offer a price and delivery speed that our competitors simply cannot match. Our after sales offering is also industry leading, offering a wide range of technician driven service support options for your folding machine in the form of consumables, replacement parts and service - both low cost back-to-base and premium onsite. Folding By Hand: A major disadvantage to consider is that when doing the job by hand, even with a highly motivated individual, they can only fold / insert / seal around 100-150 envelopes per hour. We find that after a couple of hours of constant folding, motivation levels and folding accuracy deteriorate. Can you afford to let this inefficiency affect your business? 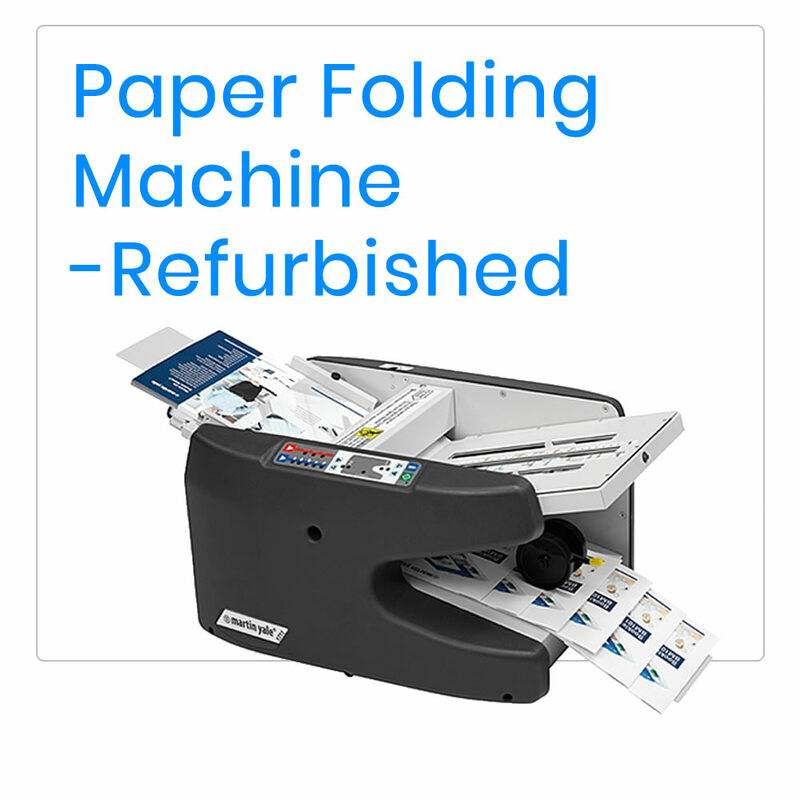 Fold Only Machines: These machines will, at the very minimum double your productivity when preparing mail-outs, leaflets and statement runs etc. Folder Inserters: These machines will do the entire job at once. They fold, insert into and seal the envelope with speeds of up to 3,000 filled envelopes per hour. These machines are listed separately under the Folder Inserter category.